Escape to the ultimate island vacation with the luxurious timeshare accommodations at the Hyatt Beach House Resort. Find affordable resale and rental units today with SellMyTimeshareNow.com. What’s My Hyatt Timeshare Worth? Nestled on the eastern edge of Key West, the Hyatt Beach House Resort provides a classic and distinctive island retreat. With an elegant design and sweeping water views, you'll fall in love with the resort's character and commitment to providing memorable vacations for each guest. With a wide variety of on-site amenities that include a massive lagoon-shaped pool, a private beach, free parking, and so much more, you'll have everything you need to enjoy your stay at the Beach House Resort and seek out that R&R you've been after. 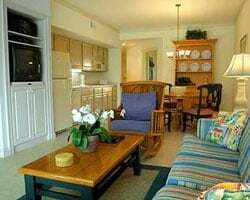 The Beach House Resort is comprised of 74 luxurious two-bedroom suites that are perfectly-appointed with modern furnishings and upscale amenities to ensure your complete comfort. Perfect for families and groups of up to six, the units at the Beach House Resort, include desirable features like private screened balconies, full kitchens to prepare meals, and up-to-date entertainment systems to ensure everyone enjoys their stay. Are you ready to secure your very own Key West accommodations? Fill out the form on this page to learn more about owning a timeshare at the Hyatt Beach House Resort, or call a representative at 1-877-815-4227. Buying a timeshare at the Hyatt Beach House Resort results in a path that can lead to amazing exclusive benefits and years of great vacations to Key West. However, buying a timeshare resale at the resort can earn you those same great benefits for thousands less. Because timeshare resales at the Beach House are offered for sale by current timeshare owners, prices are much more affordable. You can find luxurious timeshare accommodations at prices up to 70% lower than retail costs through the secondary market. Resales at the resort are available in both deeded fixed and floating weeks spread throughout the calendar year. Through the secondary market, you can find the perfect unit that matches your individual vacation preferences and budget without having to settle for accommodations you don't love. Finally, a timeshare resale at the Beach House could be your ticket into the Hyatt Residence Club. The Beach House Resort is affiliated with the Hyatt Residence Club, one of the best vacation clubs in the industry. As a Hyatt Beach House Resort timeshare resale owner, you'll be able to immediately take advantage of most of the club's exciting member benefits. While you won't be able to trade Hyatt Gold Passport points for reservations at Hyatt-branded hotels, there is still a great deal of perks that are available to resale buyers. For example, you can choose to transfer your timeshare week to Hyatt points, allowing you to choose which ownership method you want. You can also explore other vacation possibilities by exchanging your timeshare internally at other Hyatt resorts. The Hyatt Beach House Resort is also affiliated with Interval International, one of the world's best timeshare exchange companies. 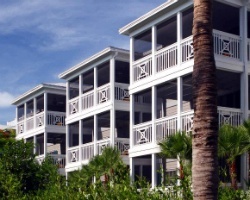 Exchanging your timeshare can allow you to get the most out of your resale ownership. Simply enter your Key West timeshare into the Interval exchange network and trade for stays at comparable resorts all over the world. The best part is, as a Hyatt timeshare owner, you won't have to purchase a separate membership—your club dues already cover membership costs. The Hyatt Beach House is also a Premier rated resort with Interval International, noting its excellent accommodations and amenities. The Hyatt Beach House incorporates a variety of on-site services and amenities to ensure guests will have the most comfortable and convenient stay possible. Along the resort's grounds, you'll find a gorgeous outdoor lagoon-style pool, a hot tub, and a private beach for those looking to cool down or sunbathe. You'll also find free WiFi and free parking throughout the property for your convenience. 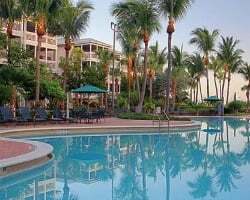 Guests can also enjoy the amenities at the nearby Hyatt Key West Resort and Spa, such as dining options at SHOR American Seafood Grill and the Jala Spa. In the immediate area surrounding the resort, you'll find a world waiting to be discovered. Head to Smathers Beach for powder white sands and an awesome surf, or venture to Mallory Square to browse the boutique shops and other vendors. Visit the Old Town area and Duval Street for signature restaurants, exciting nightlife, and thrilling cultural attractions. Head to the Ernest Hemingway House for a dose of history, or check out the Key West Shipwreck Museum to glimpse artifacts found beneath the deep. Already Own at Hyatt Beach House Resort?